Today was the day for the trip to Dingwall Mart to purchase our ‘stots’ for this year. We take heifers each year yo graze them at Croick over the summer, improving the ground, (hopefully) covering our costs and providing beef for the freezer when we sell them again in the autumn. 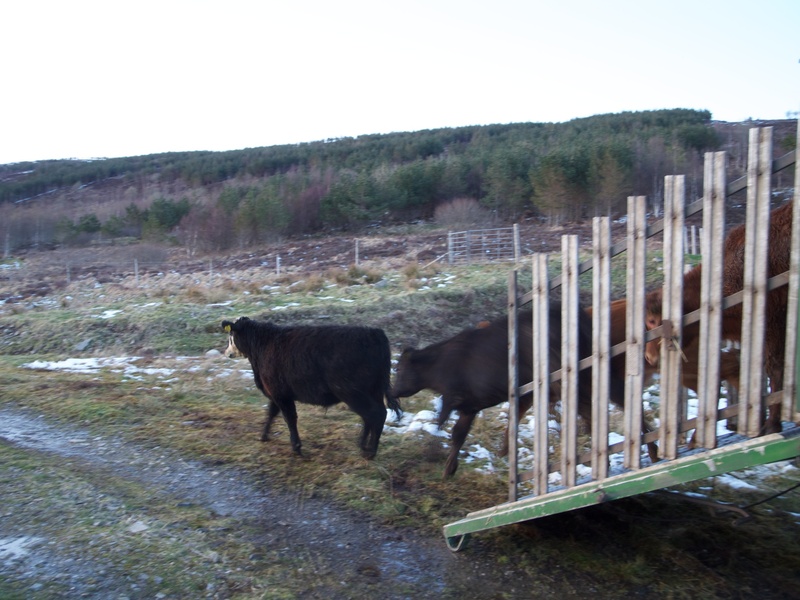 It is a long day for both the buyers and the cattle and as you can see they were keen to make their exit from the lorry. 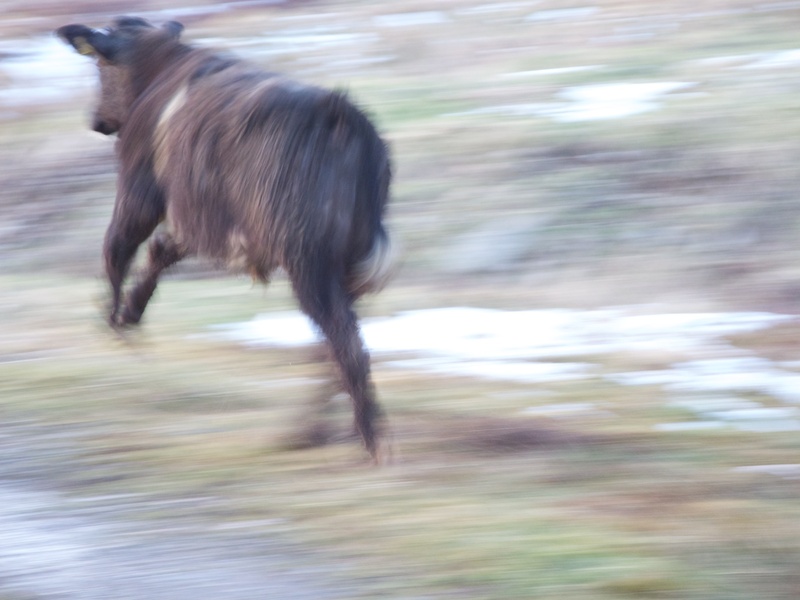 They ran off as quick as they could. It will be a few days before we can get close to them again. 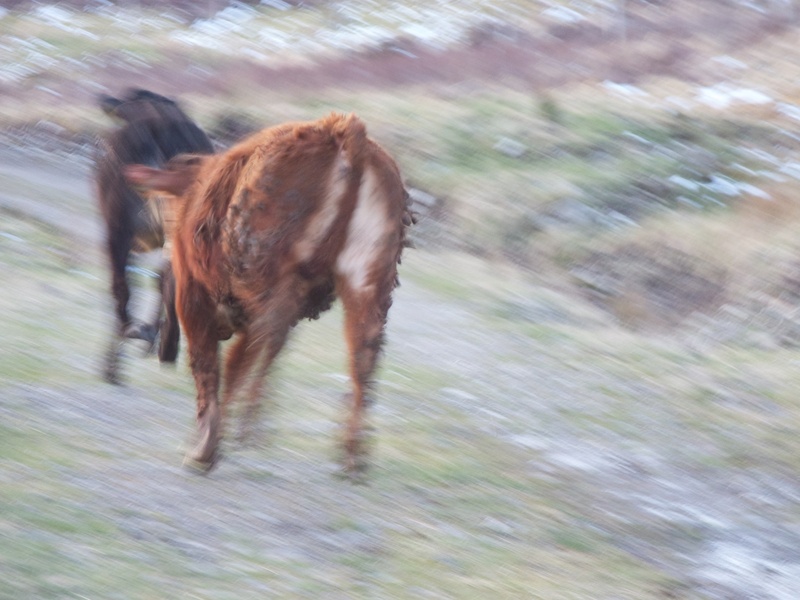 This entry was posted in Uncategorized and tagged Cattle, Croick, farming, heifers, Photography. Bookmark the permalink.